A typical National Outdoor Leadership School (NOLS) course involves a team of instructors taking a group of students 14 and older into the backcountry and teaching them outdoor skills, leadership, and environmental ethics. We’ve been doing this for nearly 50 years, and can write reams about the ways in which young people have been transformed simply by spending an extended period of time with each other in nature learning how to get along and accomplish tangible goals. But the stories we find to be the most rewarding are those where NOLS can shine a light on role models from communities underrepresented in the outdoors, who in turn refract that light on other outdoor role models like them. We hereby dub this “the refraction effect” (thanks to the hero of our story, Josh, for coining this term). And the greatest part of the refraction effect is that throughout the process, all of these role models continue to shepherd young people into their ranks by taking them outside—sometimes in their own backyards—to experience the wonders of nature. One such story is Josh Garubanda. Josh works for Wilderness Inquiry, also an OAK member. When Josh was four, his parents—both teachers—moved from a rural village in Kenya to the Twin Cities to make a better life for their family. 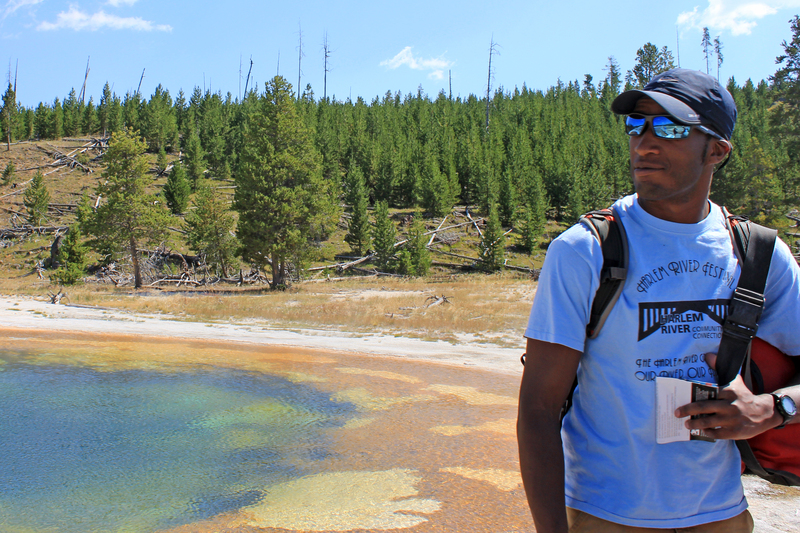 Though Josh had always played outside, his love of outdoor recreation was sparked in high school, when he was asked to use his charisma and connections to lead an outdoor club for the primarily minority student body. With the help of a high school teacher who worked for Wilderness Inquiry, Josh acquired some essential outdoor skills and then passed them on to others in his club, including members of the Hmong, Latino, and black communities. It should come as no surprise that after school, he started guiding for Wilderness Inquiry. Josh’s path intersected with NOLS only last year. Josh had always known about NOLS but it didn’t seem accessible to him until he learned about Expedition Denali. Expedition Denali has been a monumental undertaking for NOLS. 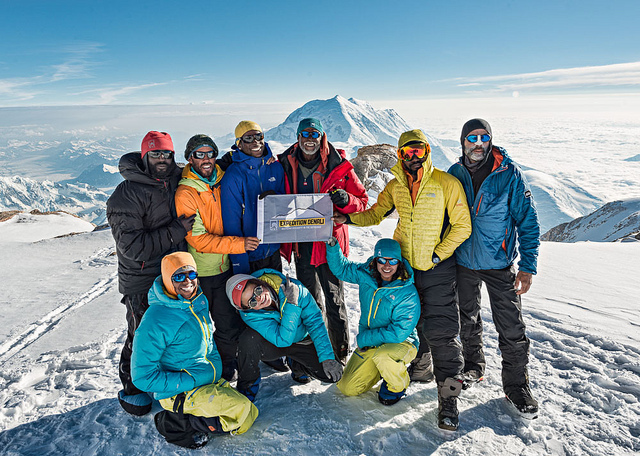 In the summer of 2013 the school brought together a group of inspiring role models who made history as the first team of African Americans to blaze a trail up America’s highest peak—Denali. To mark the 100th anniversary of the peak’s first ascent, Expedition Denali set out to change the “face” of the mountain, and mountaineering in general. Though the summit was a goal, the ultimate objective was not just to make mountaineering history, but to build a legacy by paving a way for young people of color to get outside, get active, get healthy, become passionate about America’s wild places, and chase their own Denali-sized dreams. The team has engaged over 5,000 young people to connect with nature, and the inspiration continues with events this spring. Enter Chad Dayton, Josh’s colleague at Wilderness Inquiry and a NOLS instructor. Chad told Josh about Expedition Denali, and in Josh’s words “I raised my eyebrows. An organization of this caliber getting behind an initiative to increase the visibility of African Americans was big. I wanted a closer look.” Catalyzed by this project, Josh took a NOLS Rocky Mountain Outdoor Educator Course last summer to further his skills. The story will come full circle this summer, when both Josh and the Expedition Denali team will be at the OAK Youth Event during Great Outdoors America Week on June 25. Josh is part of the Wilderness Inquiry crew that is taking hundreds of kids from the D.C. metro area on canoe trips on the Anacostia River. During that same event, NOLS Expedition Denali will be running an on-land station to teach kids how to set up storm proof tents along with other activity stations hosted by OAK members. Inspired by these words, NOLS will use this blog as an opportunity to refract the light that OAK is shedding on us. Look up these names: Phil Henderson, Audrey and Frank Peterman, Juan Martinez, Morgan Dixon and Vanessa Garrison, Rue Mapp, Jimmy Chin, Kai Lightner, Shelton Johnson. Those role models, like Josh and the Expedition Denali mountaineers, are few in a movement that is rewriting the narrative of people of color in nature. When you have the opportunity to influence someone, remember to take that opportunity to highlight other influencers. 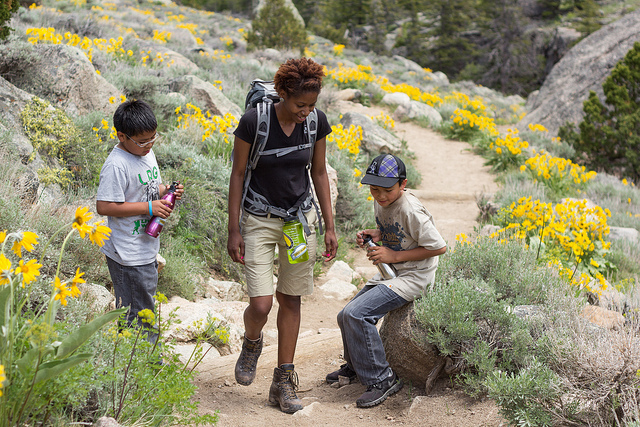 Together, we can inspire exponentially more young people to get outside. Please visit expeditiondenali.nols.edu for more information about the project.